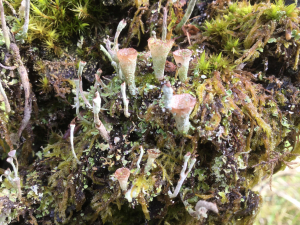 Observation - Cladonia - UK and Ireland. Description: Small pixie-cup lichen growing on a gnarled old tree. Small pixie-cup lichen growing on a gnarled old tree.